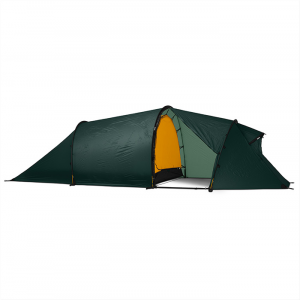 Simple and rugged, this 4-person, 4-season tent is for trekkers who want a dry and durable shelter to cook, eat, sleep and relax while waiting out a downpour, gale or blizzard. 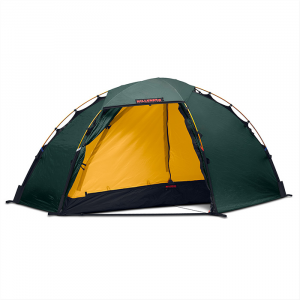 The Mountain Hardwear Hoopster 6-Person Shelter provides roomy, ultralight shelter for you and five of your buddies any season of the year. 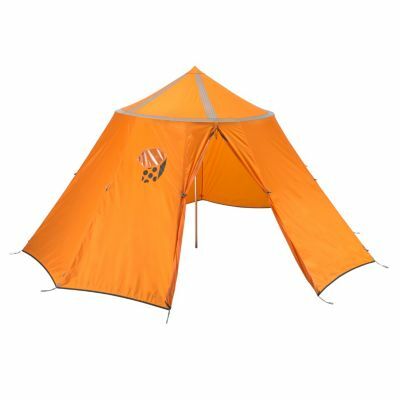 The Hoopster utilizes Mountain Hardwear's revolutionary Trussring technology, which adds space to the tent without adding weight, so you have plenty of room for cooking, sleeping, hanging out, and playing poker. 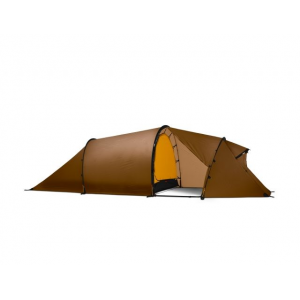 Mountain Hardwear Hoopster 6-Person Camp Tent - The Hoopster tent by Mountain Hardwear is a simple, rugged six-person, four-season shelter designed for trekkers who want a dry, bombproof place to cook, eat, and sleep. The Hoopster is a revolutionary Ring Pole tensegrity tent. Its traditional round shape deflects relentless winds. The floorless design allows the Hoopster to be set up high for maximum ventilation or hunkered down to weather the worst storm. The patented Trussring support system greatly increases internal volume at head level, adds structural strength and provides a place to string a clothesline. The single door opens wide for additional ventilation or stargazing. 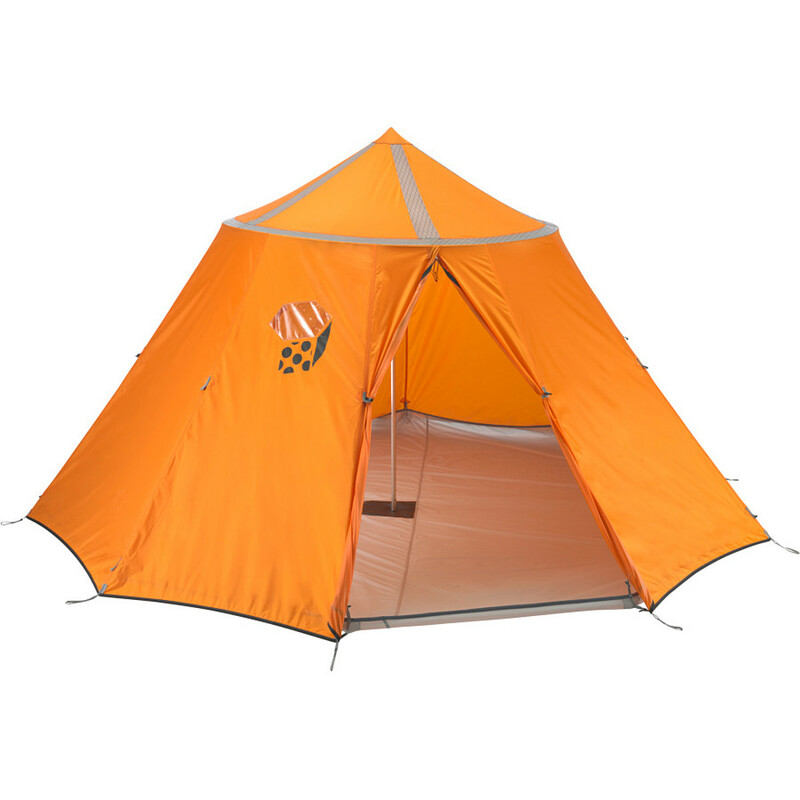 Whether you're hanging out after a hard day's play, or waiting out a blizzard, the Mountain Hardwear Hoopster tent is where you'll want to be. 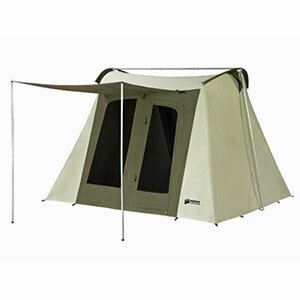 Hunker down in the Hoopster Mountain Hardwear 6 person, 4 season tent. Rest easy as you weather the worst storms with 90 feet of floor area, patented trussing support system and reinforced stretchless seams. This non-freestanding tent comes with DAC Pressfit poles and has a bombproof 75D polyester ripstop canopy. A small window allows for a look outside without ever opening the door. The Mountain Hardwear Hoopster 6 is not available from the stores we monitor. It was last seen October 31, 2015	at REI.